I have just been informed that our former member Rüdiger KAISER, from Frankfurt am Main, Germany, passed away on Saturday, December 8th, at his home. You will find attached the official announcement. Rüdiger had been a member of the IAPN since 1991, and had resigned in for health reasons. While he was active, he had been a familiar figure at most German shows and of our congresses. He is survived by his wife Gudrun, his son and our colleague Andreas and his 3 grandchildren. We wish them all strength and courage in those unfortunate circumstances. Rüdiger Kaiser was born on July 5, 1940 in Berlin as the oldest of five children. His father, Friedrich Kaiser (1907-1979) served as a Wehrmacht officer in the High Command of the Army. After the blitzkrieg against France in May and June of 1940 and the occupation of the Benelux countries and Norway, the German Reich was at the height of its military power in mid-1940. When young Rüdiger was born, nobody knew what catastrophe was about to befall millions of people in Europe. At the end of the war, Friedrich Kaiser was taken prisoner by the British and was ordered by the English military government to work in one of the bomb disposal squads. His daughter Ute, born in 1941, remembers how the family, who lived in the small village of Lopesettel, which has since been turned into the military training area Munster-Lager (Lüneburg Heath), did not only fear for her father on a daily basis, but also her brothers who went out and played with the dangerous war equipment. Perhaps that is the reason why Rüdiger Kaiser later decided to make use of his constitutional right to refuse to perform military service. After their father had worked at the marine weather service in Hamburg in 1952 and 1953, he found a new job as a teacher in Babenhausen (Hesse) in 1954, where the family then moved. Rüdiger Kaiser completed his Abitur in Groß-Umstadt and then went off to study classical philology in Frankfurt am Main with the goal of becoming a Greek and Latin teacher. It was first and foremost the professor of ancient history Konrad Kraft (1920-1970) who got the young student excited about ancient history. It was a lucky coincidence that the numismatists Peter N. Schulten and Dieter Raab, who had taken over the renowned Frankfurt-based coin dealership Dr. Busso Peus in 1967, were looking for a new employee with expert knowledge of ancient history to help out with reorganizing their library. Rüdiger Kaiser worked in that position at Dr. Peus Nachfolger until 1972. The idea of opening his own coin dealership in Frankfurt would not have been possible without the generous help of his loving aunt Tata. Dr. Hildegard Bernhardt from Berlin (1913-1985), a sister of Rüdiger Kaiser’s mother Lieselotte Kaiser who passed away at 53-years-old already (1912-1965), offered him a guarantee of more than 100,000 DM. Armed with crisp funds, the coin dealership Kaiser in Frankfurt could open its doors, first at Habsburger Allee, later at Wolfsgangstraße, and finally at Mittelweg, where Gudrun and Rüdiger Kaiser acquired a house which was both the residence and office of the family and their son Andreas. Rüdiger Kaiser was a straightforward and thoroughly decent businessman, an honest partner with his customers’ interests in mind. This attitude, which embodied Prussian virtues in the best possible way, is what made him so successful so quickly. Many customers placed their trust in him, including the former East Prussian landowner Alexander Fürst zu Dohna-Schlobitten, who moved to Basel after the war to start a new dry cleaning business. The Kaiser family suffered a few blows of fate. An outsider cannot imagine the severe personal ramifications of the two robberies that occurred in the late 1980s and in June of 1993. Rüdiger Kaiser was a born fighter, however, and continued to firmly hold his ground. A well-trained German shepherd dog was added to the family as a security measure. The animal was a lifelong commitment and accompanied him wherever he went. The dog became a loyal companion and Rüdiger Kaiser wholeheartedly accepted the responsibility. 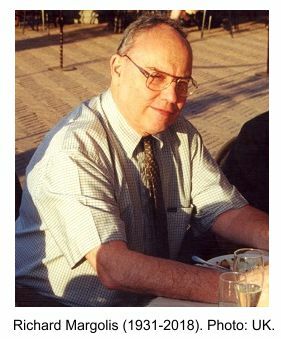 Rüdiger Kaiser was sociable man; he enjoyed attending auctions and conferences, both of the Verband der Deutschen Münzenhändler as well as the IAPN (International Association of Professional Numismatists). There was just one condition: in order to not have to leave his dog alone, Rüdiger Kaiser only travelled to places that could be reached by car. He managed his business for 45 years. It was not easy for him when he had to retire due to health issues. Along with his own coin dealing business, Rüdiger Kaiser also did a lot of volunteer work he deserves acknowledgement and respect for. From 1977 on, he worked as the treasurer of the Verband der Deutschen Münzenhändler e.V. for many years, from 1984 until 1995, he was editor-in-chief of Geldgeschichtliche Nachrichten, and he was also a longstanding sworn expert for coins at the German Chamber of Industry and Commerce in Frankfurt. 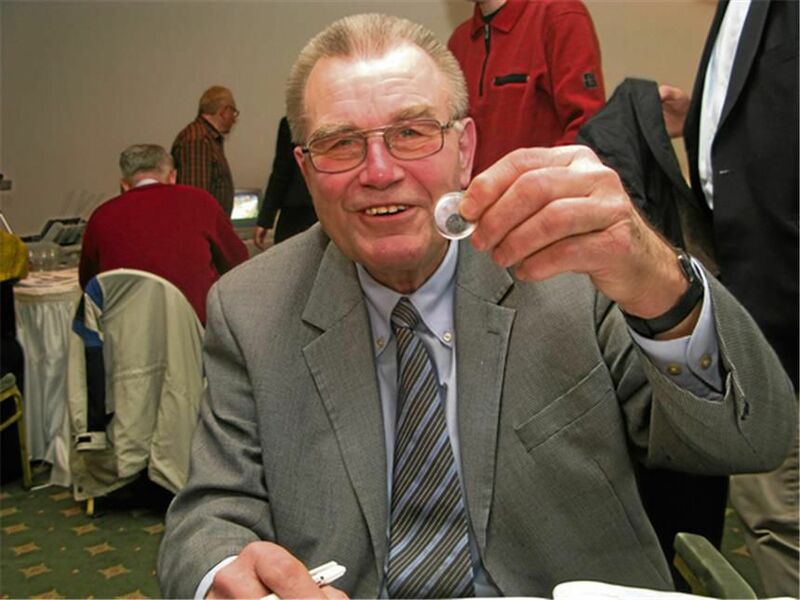 The German numismatic community has lost one of its outstanding characters. Whatever Rüdiger Kaiser said carried weight; he was not one to indulge in small talk. His unobtrusive manner and his personal modesty characterized him as an old-school coin dealer. Reliable, honest, knowledgeable – and in no way narcissistic. That is how we will remember him. Geboren 1950 in Friesland uit een middenstanders milieu, zoon van een garagehouder. Het verzamelen werd hem door zijn vader vroeg aangeleerd. Alles wat men in de jeugd verzamelde, postzegels, sigarenbandjes, lucifersmerken en natuurlijk munten. Was op zeer jeugdige leeftijd al op antiekveilingen te vinden. Zette op 14 jarige leeftijd een postzegelabonnementenservice op. Eén van zijn eerste muntveilingen die hij bezocht was die bij de Fa. J.C.A van Loon in 1967. Daar kocht hij in de aftersale een kwartje van 1817 voor Fl. 350,= (recent resultaat € 70.000,=) omdat hij dat eigenlijk niet duur vond, tenslotte kostten een drie Gulden Willem I destijds ook Fl. 300,= . Nadat hij de middelbare school verliet handelde hij in woningtextiel o.a. Perzische tapijten. Toen zijn militaire dienstplicht er op zat besloot hij zich in 1972 zelfstandig te vestigen onder de naam “De Sneeker Vlieger”. Was regelmatig op alle beurzen en veilingen te vinden en was bijna wekelijks in Amsterdam te vinden waar hij erg bevriend raakte met Jaap Schulman. Deze stelde hem ook voor als lid voor het A.I.N.P. zijn specialiteiten waren Provinciale munten met die van Friesland in het bijzonder en wist van deze provincie de grootste collectie aller tijden bijeen te brengen. Die ging grotendeels over (> 700 ex) naar het Fries Museum te Leeuwarden. Zijn penningvoorraad bedroeg ruim tienduizenden stuks, op land en thema geordend. 1e veiling in samenwerking met wijlen oud-collega Arie van der Dussen in Maastricht 1984-1986, vervolgens veiling voor eigen rekening sinds 1987. Lid van het A.I.N.P sinds 1985. Was mede auteur met D. Purmer van “het Handboek Nederlandse Muntslag 1568-1795. Initiatiefnemer en mederedactielid van de oeuvrecatalogus “Johannes Cornelis Wienecke 1872-1945, medailleur en stempelsnijder 2017. Vele ambtstermijnen voorzitter van de N.V.M.H en oprichter van de numismatische kring Mr. Jacob Dirks. Geruime tijd lid van het Belgisch Genootschap namens de N.V.M.H. afgevaardigde voor de FENAP. Je moet zelf maar een slotzin verzinnen, want ik leef nog, maar ben wel ernstig ziek (geweest?). After Jille’s own will, this will be used as his obituary. As unusual as it might seem, he wrote it himself and sent it to me in September 2017. Born 1950 (actually July 7th, 1950 in Woudsend) from a middle-class family, son of a garage owner. The passion for collecting was transmitted soon from his father. Everything which youngsters collect, stamps, cigar bands, boxes of matches and of course coins. Attended antiquities auctions at a very early age. Created a service of new stamps supply when he was 14. One of his First coin auctions he attended was the one of the firm J.C.A van Loon in 1967. There he bought after the sale a quarter gulden piece of 1817 for 350,= NLG (recent result € 70.000,=) because he thought it was cheap; at the same time the price for a piece of 3 Gulden Willem I was also 300,= NLG. After he left the middle-class school, he was active in the handling of textile, Persian carpets among others. After his military service, in 1972, he decided to open his own business under the name “De Sneeker Vlieger” [“the pilot from Sneek”]. He attended regularly coin fairs and auctions, and went almost every week to Amsterdam, where he became a friend of Jaap Schulman. This one sponsored him for membership to the IAPN. His speciality was the coinage of Dutch provinces, and especially of Friesland. He put together the biggest collection of those ever. Those went mostly (over 700 coins) to the Fries Museum in Leeuwarden. His offering of medals amounted to about 10,000, classified by country and theme. First auction in co-operation with his old friend and colleague Arie van der Dussen in Maastricht 1984-1986, then auctions for his own name since 1987. Member of the I.A.P.N. since 1985. Co-auteur with D. Purmer of the “het Handboek Nederlandse Muntslag 1568-1795” [pocket-book of the coinage of the Netherlands]. Took the initiative and co-redactor of the catalogue “Johannes Cornelis Wienecke 1872-1945, medailleur en stempelsnijder 2017”. 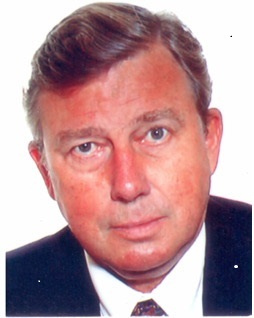 Many terms as president of the N.V.M.H [Dutch association of coin dealers] and founder of the numismatic club “Mr. Jacob Dirks”. Member of the Belgian Association [Belgian Society for Numismatics] and representative of the N.V.M.H. to the FENAP [European federation of national coin trade associations]. You have to find yourself a final word, as I am still alive, even if I am (I was? )seriously ill.
What should I add? Exceptional man, as everybody who had meet him could realize, horse-lover, passionate about art in general, numismatics in particular, gifted artist himself, dandy, very eccentric chap, too-much smoker and drinker, always interesting to listen to: a “rare vogel” [rare bird]as they say in Dutch. Even his obituaries and this note speak better than everything else. We will remember him! J.B. Westerhof, with the co-operation of J.L. Van der Schueren. Bjarne Ahlström was born in Stockholm, 30th of November 1938. He passed away the 12th of September 2017 in his apartment on Narvavägen, Stockholm. Bjarne Ahlström´s father John was a very important stamp-collector (philatelist). Thus Ahlström had the understanding for collecting, but his career was supposed to be as a Diplomat. In 1954 Bjarnes Ahlström´s brother, Bernth Ahlström, started the company B. Ahlström Mynthandel AB. In the late 1950´s, Bjarne took over the company. In 1972 B. Ahlström Mynthandel held their first auction. Through the years 1972-2004 the company held 71 auctions. From the very beginning Ahlström´s auction catalogues were highly well-produced, regarding both numismatic information as well as layout and presentation of the marketed items. Bjarne Ahlström had the privilege to sell several fine collections during his time as an auctioneer. The most remarkable may be The Gunnar Ekström collection. Bjarne decided along with Wera Ekström, the widow of Gunnar Ekström, to start a foundation for numismatic research in the name of Gunnar Ekström, Gunnar Ekströms stiftelse för numismatisk forskning. In 1967 the first edition of Sveriges besittningsmynt (translated “Coins of the Swedish Possessions”) was released – which was a modern and groundbreaking publication. The second edition was published the year 1980 and it is still the main reference book regarding these coins. The modern Swedish coins got its reference book in 1976 – Sveriges mynt 1521-1977 (translated “Coins of Sweden 1521-1977”). The same year he also published Norges mynter (translated “The Coinage of Norway”). Late in 2004 Bjarne Ahlström sold his auction company to Thomas Høiland (from Denmark). Unfortunately for Ahlström, Høiland liquidated the company only three years later. 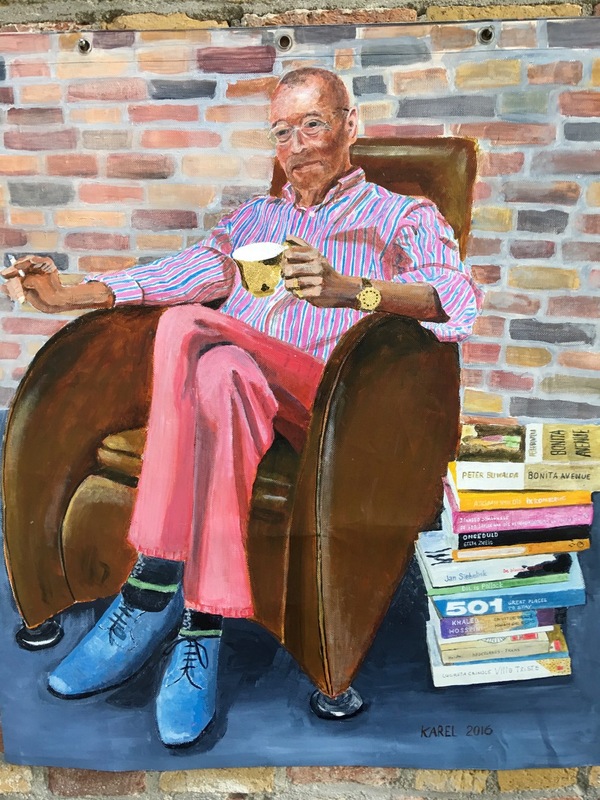 When Bjarne wasn’t at work, he preferred to stay at his beloved country mansion Siggenäs – a much needed contrast to the business life´s hectic speed and seriousness. He had been elected member of the IAPN in 1969 and had organized the General Assembly in Stockholm in 1992. I first met Catherine in 1966, I believe, at a coin show in downtown Chicago. I was a teenager with very little money to spend, and I let her know that. She graciously spent time visiting with me and even let me have a coin on “memo” since I did not have enough money with me to pay for it (at the time I did not even know what “memo” meant!). I was taken aback, since we had just met and did not really know each other, but she said “that’s OK, I trust you.” That left an indelible mark and led to a friendship that has endured for more than half a century. She is one of the reasons I am in this profession today. After marrying David Bullowa, one of America’s premier professional numismatists, Catherine was thrust into the rare coin business when David died unexpectedly in October 1953 after only 1-1/2 years of marriage. Although approached by numerous dealers who wanted to purchase the business name and location, Catherine was determined to make a career of it herself. “Determined” is a good word to describe Catherine. She was independent, strong-willed and extremely capable and was admired by many for having these traits. Catherine loved to read and made good use of David’s extensive numismatic library. She studied not only United States coins and currency, but foreign and ancient coins as well. It was not long before she was a self-taught expert in several aspects of numismatics. In 1959, Catherine married Earl E Moore, an autographs and manuscripts specialist. Their union was to last 41 years. They were frequent attendees at coin shows and conventions throughout the country and world and both of them enjoyed the camaraderie and interactions with old friends that these opportunities afforded. Through the years, Catherine held membership in numerous professional and hobby-related organizations. Among them were the American Numismatic Society (ANS) of which she was a Life Fellow and to which she contributed generously; the Royal Numismatic Society (RNS) of which she was a Fellow; the International Association of Professional Numismatists (IAPN) where she was a member of the Executive Committee for many years, as well as an Honorary Member; the American Numismatic Association (ANA) in which she held Life Membership #355; and the American Society of Appraisers (ASA) where she had Senior Member status. She was also a founding member of the Professional Numismatists Guild (PNG), and one of only a handful of individuals to have been given Life Member status (#3) by the organization. Catherine received many awards and accolades throughout her illustrious career, and one she was quite pleased to receive was the PNG’s inaugural Lifetime Achievement Award in 1997. She also received their Art Kagin Numismatic Ambassador Award in 2013. One achievement of which she was particularly proud was to have been chosen in 1965 as a member of the United States Assay Commission. Names were submitted by the Director of the Mint to the White House where the final choices were made. Members would check random samples of the previous year’s coinage for weight and purity and membership in the Commission carried with it a great deal of prestige. She also was a member of the Old Time Assay Commissioners’ Society and enjoyed that immensely. Catherine’s rich legacy and fond memories remain with countless people she has come in contact with throughout her long and illustrious career in numismatics. She will be greatly missed by her family, as well as by numerous friends and associates.